After exercising restraint in its nuclear weapons program for decades, China has made the poor choice of upgrading its arsenal in a way that raises concerns about its intentions, introduces new uncertainty in Asia and could add more fuel to a regional arms race. The unsettling development is China’s decision to equip its most powerful missile — the DF-5 for Dong Feng or East Wind, which can reach the United States — with multiple warheads instead of just one. 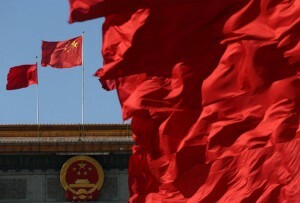 The information was reported publicly for the first time earlier this month in the annual Pentagon report on China’s military and security programs. The United States pioneered this technology, called multiple independently targetable re-entry vehicle, or MIRV, when it was in competition with the Soviet Union. MIRV made it possible to load each missile with as many as 10 warheads, each of which could be aimed at a different target. That made the missiles more lethal. But it also made a country with those missiles more vulnerable because an enemy would want to hit them before they could get off the ground. Because they put a premium on striking first, MIRVs were seen as inherently destabilizing and were limited in the SALT II treaty, the second major strategic arms limitation treaty signed in 1979. Last year, decades after the Cold War, the United States finished downloading its land-based Minuteman 3 intercontinental ballistic missiles so that they each now carry only one nuclear warhead. The missiles on American submarines still carry multiple warheads, as do the land-based missiles and submarines of Russia. France and Britain also have MIRV systems. China’s move along this path does not represent a big increase in its nuclear capability. It is among the five recognized nuclear powers and a signatory to major arms control agreements, including the Nuclear Nonproliferation Treaty. It has an estimated 250 warheads in total, with about three warheads on each of about 20 DF-5 missiles. All of this is a fraction of what the United States and Russia possess in their arsenals. Nevertheless, the decision to outfit its missiles with multiple warheads is of concern for several reasons. Although the technology to miniaturize weapons and put several atop a missile has been in China’s hands for decades, a series of leaders chose not to go forward and compete in the kind of arms race that for decades sapped American and Soviet resources. Instead, China espoused a doctrine of maintaining a minimal nuclear force that would only be used to retaliate against a nuclear attack, not initiate one. President Xi Jinping has encouraged suspicions by asserting a more aggressive foreign and economic policy, including building military airfields on disputed islands in the South China Sea, and created tensions with neighboring countries that are intimidated and have increasingly looked to America for support. The expansion of American missile defense systems oriented toward Asia likely had a bearing on China’s decision.